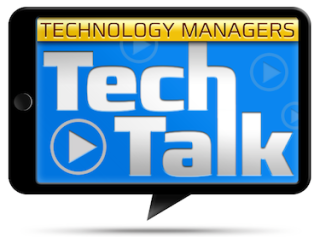 Control Concepts and BMA Software Solutions will host the second annual Technology Managers TechTalk dinner and discussion event Tuesday, June 16, 2015, at 5:30 p.m. at Maggiano’s Little Italy, Orlando. The TechTalk event features keynote presentations by control experts Marc LaVecchia, Steve Greenblatt, and others, as well as dining and networking for technology managers. “TechTalk events are a safe, fun, and pitch-free environment,” said Steve Greenblatt, president of control concepts. “We understand that technology managers have the critical responsibility of providing hands-on support for the users of all AV systems, and the requirements of their positions can span the full range of defining, implementing programming, supporting, and maintaining varied systems and equipment.” The TechTalk event at InfoComm15 is designed in response to that understanding.